At nuLOOM we believe that floor coverings and art should not be mutually exclusive. Founded with a desire to push boundaries and break the rules of what is expected from an area rug, nuLOOM was created to fill the void between brilliant design and affordability. nuLOOM's creations infuse our expertise in producing high quality floor coverings with our passion for color and individuality. Our product development team view each nuLOOM creation as its own work of art as they blend inspirations from such things as nature, textiles, and architecture from around the globe and bring to life a statement piece fit for today's fashion forward shopper. Innovative color combinations and bold patterns come together to create an elegant and eye-catching centerpiece. 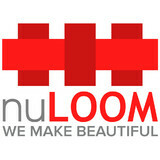 In addition to our popular area rugs, nuLOOM is also proud to introduce nuLOOM Living which includes a furniture and cushion line that, like our area rugs, represents a unique sense of creativity and a pop of adventure perfect for any room décor. 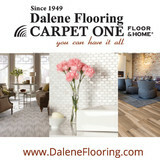 Dalene Flooring Carpet One has served Connecticut families and communities since 1949. As a third-generation family business, we are committed to providing a wide selection of flooring and services from design to installation all backed by our Beautiful Guarantee®. Our flooring selection includes an array of hardwood, porcelain, natural stone, tile mosaics, ceramic tile, carpet, vinyl, custom area rugs, luxury vinyl tile, and laminate flooring. Our installation team has a breadth of knowledge to tackle any flooring challenge whether it's renewing hardwood floors, designing intricate tile work or fabricating and installing patterned carpet for the stairs; just to name a few. We also offer services like dustless sanding & refinishing, carpet binding, waterproofing & heated floor systems. Our team serves residential, builder and commercial customers with five locations in West Hartford, Manchester, Torrington, Southington and South Windsor. 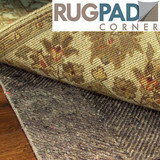 Rug Pad Corner is the nation's online source for quality rug pads for hardwood, wood, tile and all floors. We are proud to have been certified by Green America’s Green Business Network as an environmentally and socially responsible business. We Only Use Recycled or Natural Materials – No Chemicals, Glues or Adhesives! Our Rug Pads are Eco and Earth Friendly and Safe for Floors, Rugs and the Air. Our service includes complimentary custom cutting of rug pads to the actual rug size. 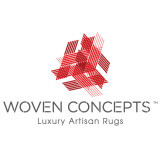 We cater to homeowners, interior designers and area rug dealers. We manufacture our rug pads and only offer the safest rug pads for all rugs and all floor surfaces. We offer FREE shipping on all orders. We recently began our Rug Pad for a Cause Campaign© where a portion of each purchase of a rug pad will be donated to one of three charitable organizations; The American Red Cross, St Jude Children’s Research Hospital and The American Cancer Society. Stark specializes in custom designed carpet, fabric, furniture and wallcovering for both the residential and contract markets globally. #StarkTouch For over 75 years, Stark® Carpet has provided custom service for the interior design professional. 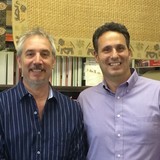 Founded by the late Arthur and Nadia Stark, who traveled the world exploring carpet history and contributed the knowledge and art of re-creating some of the most beautiful rug masterpieces and handmade rugs of the centuries, the firm is now headed by their sons, John and Steven Stark. Stark is a mecca of inspiration to designers demanding the highest quality, coloration and authenticity. Stark Carpet offers an entire new concept in home furnishings to the discriminating designer and will continue to explore the world markets for new and innovative ideas, qualities, designs and effects. Our styles range from traditional to contemporary, including a documented library of antique and oriental designs. Hand Made Designer Rug outlet with top quality and affordable price. We are known for our high quality products and excellent customer service. Family owned wholesale business for more then over five generations; now passing the savings over to the public. Makers of Fine Custom Rugs. The world's source for fine luxurious hand made rugs and carpets for residential and commercial projects. We offer unique and extensive designs that fit many different projects and many different people. Work with us for any of your custom project. Carpet dealers in Danbury, CT help homeowners choose the correct carpet covering for their floors, and also assist with carpet maintenance. This includes determining factors like material, carpet pile, durability, color and size, as well as helping with any custom carpet design. After completing the initial installation (which includes removal of the old flooring, if applicable, and surface prep), they may also handle follow-up maintenance requests such as carpet cleaning, carpet repair and carpet stretching. Carpet dealers might work closely with Connecticut contractors, interior designers and others in the home building and home improvement industry. Here are some related professionals and vendors to complement the work of carpet dealers: Interior Designers & Decorators, Design-Build Firms, Specialty Contractors, General Contractors, Home Builders. Find a carpet dealer on Houzz. Narrow your search in the Professionals section of the website to carpet dealers in Danbury, CT, and read reviews and ratings for pros in your area.